Valuable, practical information that you as clinician can apply to patients and yourself immediately using: nutrition, lifestyle, therapies, mindfulness. Suitable for all clinicians and therapists, such as doctors, pharmacists, dentists, nurses, students in any medical field, therapists, complementary practitioners and nutritionists. With public perception of a crisis in our healthcare system, it is now becoming accepted that the future of medicine lies in our nutrition and lifestyle. What could better help us understand how to manage our health than the original source of knowledge and the most enduring and sophisticated system of healing? 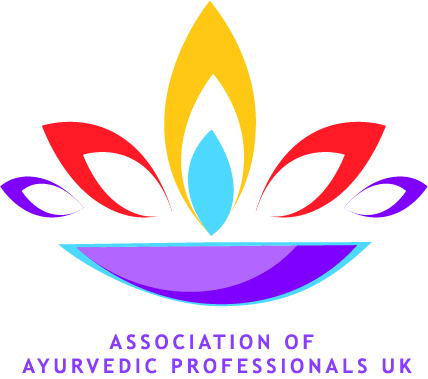 Ayurveda is the ancient and timeless, science of life and has been experientially proven over many centuries to help us achieve an optimum state of health and well being. The digestive system is the key to all diseases. Learn about the key role of “agni” aka digestive fire on digestion and assimilation of food and, how you can balance it with diet and lifestyle. When faced with the problem of what you should do with a patient, learn how to trust your intuition as a healthcare professional. In Ayurveda we can recognise the constitution of the person through the particularities of their physiological functioning. This is a sophisticated predictor of future disease as well as a reliable gauge of many physiological and mental imbalances, such as inflammation, infection, allergens, immunity, digestive functioning, mental capacities, behavioural aspects, sustainable immunity, hidden / stagnant disease and much more. Through this knowledge we can discover the causes and the pathogenesis of disease and provide an entirely natural, effective approach using diet, lifestyle, treatment therapies and the harnessing of universal energy.